Awesome Friday! » Blog Archive 'Star Wars Episode IX' Cast Announced, Carrie Fisher to return (but not with CGI) - Awesome Friday! First up, the obvious people are returning: Daisy Ridley, Adam Driver, John Boyega, Oscar Isaac, Lupita Nyong’o, Domhnall Gleeson, Kelly Marie Tran, Joonas Suotamo, and Billie Lourd. In particular I’m very jazzed to see Kelly Marie Tran back as she was the beating heart of The Last Jedi, the best new Star Wars movie to date. Naomi Ackie, Richard E. Grant, and Keri Russell are all joining the Star Wars family. Not much is know about their characters as yet but it’s no surprise to see Keri Russell in a JJ Abrams story, she’s practically his muse. Naomi Ackie is a relative newcomer with some solid cred under her belt, not the least of which is her supporting part in last year’s Lady MacBeth. Richard E. Grant is an exciting new addition also, he has steadily worked in genre fare for the last 30 years but you probably remember him most recently from his small roll in The Hitman’s Bodyguard or his villainous role in Logan. So far, so good! Also returning are Anthony Daniels, who may be trapped as C-3P0 forever. Mark Hamill who will presumably return to counsel Rey as a force ghost after his 3rd act sacrifice in The Last Jedi, and Billie Dee Williams who is now confirmed to be returning as Lando Calrissian. And last, but certainly not least, Carrie Fisher will be returning as Leia. 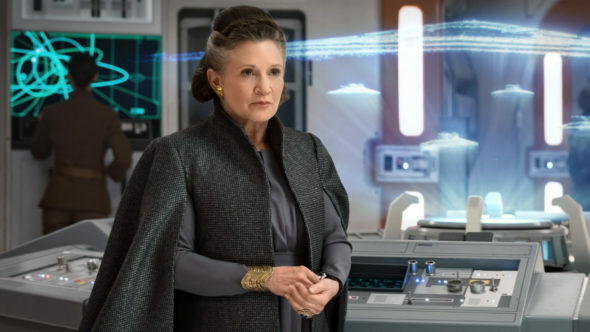 Fisher of course passed away last winter and as such her return will be achieved through unused scenes shot for The Force Awakens. Abrams is quoted as saying that they would never recast the part nor use CG to replace her, and the solution they have found has the blessing of her daughter, Billie Lourd. I hope this is the best solution. There’s no way to tell until we see it, obviously, but I’m glad that they aren’t doing the CGI thing that I reacted so poorly to in Rogue One. I’ve said in the past that I actually supported the idea of recasting Leia (as long as they can get someone like Meryl Streep), but if they have enough footage to make it work I’m glad that’s what they’re doing. JJ Abrams of course returns to direct, and co-produce with Kathleen Kennedy and Michelle Rejewan. John Williams returns for what will most likely be his last Star Wars score, and Dan Mindel returns as Director of Cinematography. You can read the full text of the announcement at StarWars.com and the film will be released in December 2019.